Most car people think of the Datsun 240Z as the car that really changed the perception of Japanese cars among the motoring press and the public. In fact, it was the Datsun 510 that started the trend more than a year before the Z hit the U.S. And if the Z was a half-price E-Type, then the 510 was a BMW 1600/2002 at a substantial discount. The car packaged a fully independent rear suspension with semi-trailing arms (with the exception of the wagon, which had a live rear axle) with a SOHC four cylinder engine with single dual-throat carburetor to great effect. The car’s styling wasn’t the least bit odd, unlike many early Japanese cars, and the Datsun 510 became the darling of the enthusiast press and club racers. There was a four-door sedan, a two-door sedan and a wagon in the U.S., and a Japan-only coupe where it was known as the Bluebird. Brock Racing Enterprises (BRE) fielded a team of Datsun 510s in Trans Am with driver John Morton that did remarkably well, and Datsun used this to their advantage in advertising. One area where the 510 didn’t bear a resemblance to the 2002 was in build quality. Interior plastics were several notches below BMW’s and the cars always had a tinny feeling that was the result of thinner gauge steel and lack of insulation. 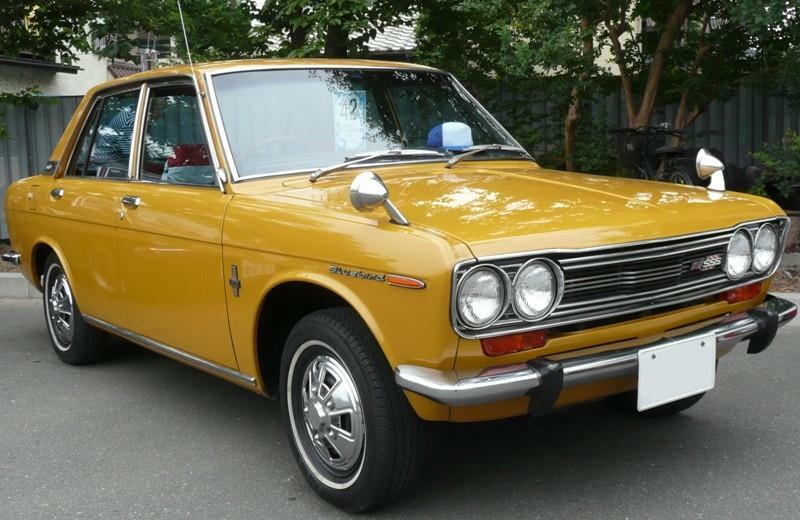 Still, the 510 was a milestone car for the Japanese motor industry and for Nissan/Datsun, who wouldn’t produce an entertaining small sedan again until the Sentra SE-R of the early 1990s. Sadly, rust has claimed most of the 510s in the U.S., with the exception of parts of the West Coast and the Pacific Northwest where one still sees them (particularly the wagons) performing daily driver duties.